Located right in the heart of Belek, Sueno Deluxe has direct access to Sueno Golf Club, harbouring two 18-hole championship courses and easy access to the other popular golf courses around. 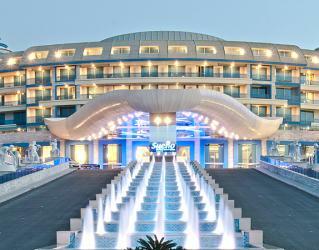 Sueno Deluxe is the perfect spot for a complete luxury holiday with endless options to enjoy your days to the fullest. 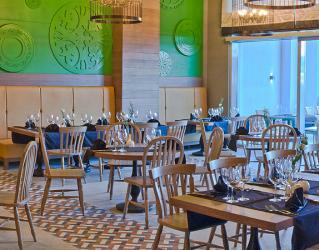 The resort offers its guests an abundance of bars and restaurants that are sure to please every palate. Choose from the many beach cabanas available for you to use whilst having a day off after long rounds of golf. The modern interiors, spacious rooms, a wide range of facilities and the stunning beach will satisfy you far better than your expectations. All the accommodation options of the resort are quite luxurious and spacious, ranging from deluxe rooms to suites and villas. While some of the rooms are found in the main building, some have their separate areas within the hotel grounds. They are all equipped with a LCD TV, telephone, minibar, safety deposit box, internet connection, pillow menu, tea and coffee setup, iron and ironing board, hairdryer, scale, bathrobe and slippers. Golfers are invited to play two professional golf courses located at the Sueno Golf Club. 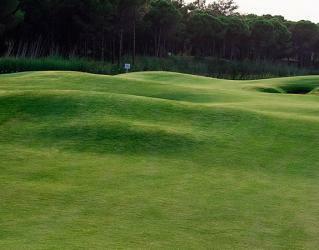 Guests of the resort are given easy access to the Professional Pines and Dunes Golf Courses. Surround yourself in golf as the resort is in close proximity to 12 other popular golf courses in Belek, making for an unforgettable golf holiday. 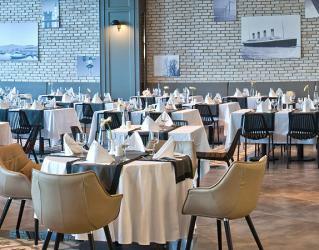 Explore the magnificent tastes of Turkish and other worldly cuisines at different venues all year long. Breakfast, lunch and dinner are served at the Main Restaurant, where there are 5 exclusive parts, each decorated differently in an elegant style. All decorated uniquely to fit its own theme, Italian, Asian, Mexican, Seafood and Turkish A’la Carte restaurants with distinctive menus by talented chefs await you here. If you are looking for a quick bite, Simit House is a fantastic choice to try local tastes. In the summer season, Barbeque and Fish A'la Carte the perfect outdoor restaurant, set in an outstanding landscape, prepare for an exclusive dinner experience. 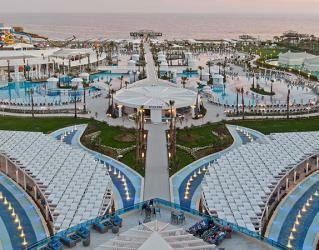 Beach Bar serving Turkish pancakes and snacks is available for delicious moments. 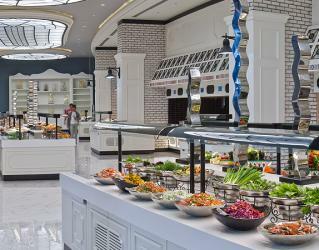 Sueno Avenue food court, with up to 16 stations, serves all kinds of food that will amaze you. 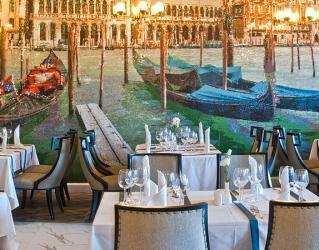 Sueno Deluxe is proud to offer a selection of imported wines from France and Italy. 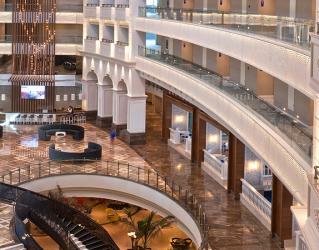 Lobby Bar serves a wide range of drinks until midnight all year round. Lounge Bar is open 24 hours all year round in a spacious environment. If you would like to try local drinks, Café Türk is the place to visit whenever you would like until midnight. Disco Bar serves fancy cocktails and drinks at night while you are dancing the night away. If you are looking for healthy drinks, Vitamin Bar at the Spa centre serves fresh fruit juices and teas. Feel thirsty on the golf course? Birdie Bar is at your service at the Sueno Golf Club during the day. Teenage Bar and Pier Bar are open during the summer season with refreshing drinks. 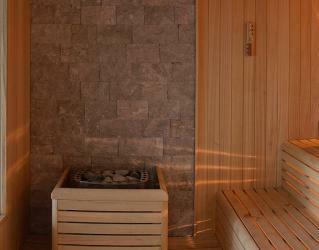 With its impressive modern-oriental design, tranquility and total relaxation await you at Sueno Deluxe Spa & Wellness. The facility offers a wide array of therapies, massages and skin cares. 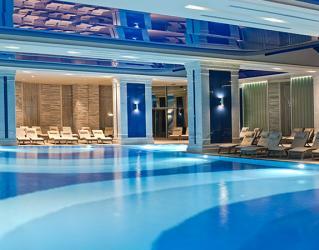 The 6 traditional Turkish Baths, 5 steam room, 6 saunas, salt room, mud room, sand room, ice room, adventure shower, indoor swimming pool, relax pool and fitness centre are all here for guests to enjoy a complete spa experience. Sueno Deluxe offers numerous entertainment activities throughout the year; covering a show centre where amazing performances take place, daily activities such as Pilates, table tennis, boccia, darts and activities such as Nordic walking, mountain bike tours, tennis and football. The indoor and outdoor movie theatres showing fun movies, a disco with professional DJ performances and themed parties are among the options for a night full of entertainment. 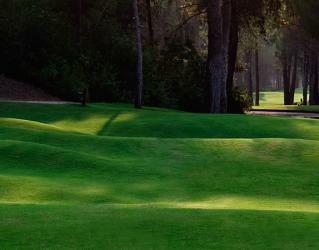 The Pines is an 18-hole, 72 Par golf course over a total distance of 6,413 meters and is part of the Sueno Golf Club. 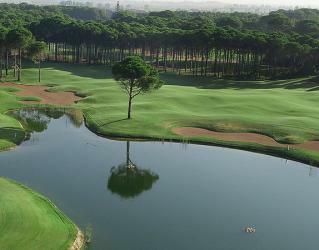 Each of the courses at Sueno share the same qualities and have Parkland links design, are narrow and tree lined with some dense forests; however, the Pines is the tougher out of the 2 and players should take care when playing as there are water hazards on 11 holes with 70+ bunkers, some large! Der anspruchsvolle Dunes Course ist 5.643 Meter lang und hat kurze Fairway Strecken. Der Links Platz mit Sand Hindernissen, wird für Sie eine eher leichtere Herausforderung. 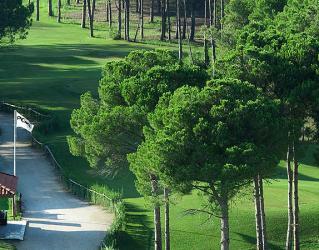 As the professional coaching staff we welcome you to the Sueno Golf Hotel. Whether you are a beginner or an advanced player you will find everything to suit your needs. With our system you will have the opportunity to learn the key fundamentals to improve you game of golf. Understand your faults, investigate the best form of improvement and get the most out of your game. With the latest in video analysis (GASP), and the introduction of the Explanar Golf training aid you be sure to get you game on the straight and narrow. 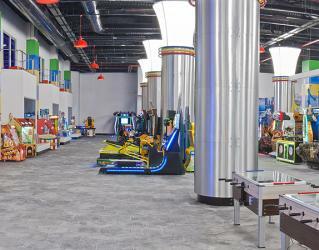 We offer individual lessons for up to 3 players. Each lesson is structure to make the lesson enjoyable and a great learning experience with the focus on finding a simple solution to your game. Feel confident that you will be able to tackle even the toughest of shots with precision. Please feel free to ask if there is a specific issue your game that you would like to discuss. Our goal is to make your golf haliday as comfortable as possible. 3 day classes for beginners and intermediate golfers. This package is designed to entertain golfers who have either been involved with the game for a while and are looking for the next step in there game. Beginners can use this package to learn the whole game in a short period. With in-depth analysis using the video analysis and fine tuning with the Explanar Golf training aid, this is must for any avid golfer. *Includes rental clubs and balls for the duration of the lessons GASP video analysis and Explanar Golf training aid. A package better suited to the Intermediate golfer and advanced player. Each day is designed to move you along gently but with the intention of finding those 2-5 shots that let you down. Concentrating on the short game firstly to help improve the players confidence with the 'scoring clubs' and moving into the long game and assessing what best to improve without making such a drastic change that it might run your holiday and experience. Towards the end of the week you week you will be able to play 2 rounds of nine on either of the courses under the guidance of the Professional. Let the professional open your eyes to improving your score by teaching you to manage the game on the golf course and with learning the rules. 5 days express golf course license Getting the golf course license for newcomer and beginners with no or only very few prior knowledge. With the express golf course license class we offer you the fastest possible access into the golf sport and the game on the golf course. Express means fast and compact. Single or dual video camera images of golf swings, stance and follow throughs. Take your coaching videos and freeze, overlay, and isolate your grip, golf ball contact area or shoulders; while viewing multiple angles and zoomed segments frame-by-frame. With the GASP video analysis software you will be able to track your learning progress, document improvements and identify trouble spots that all improving your game. Take advantage of the best video analysis system in the world at Sueno. For more information please ask in the Pro-shop to speak to the Head Professional. The week is already over, and I want to thank you everything was perfect, we had a problem with the Turkish Airlines flight, and arrived late to Istanbul, and missed the Antalya flight, and finally we had a flight at 23:55. I did not have a phone number. from Bilyana to Belek (in the suitcase), so I called the hotel which put me in touch with Bilyana Belek, so the bus was waiting for us at 01:00. Thank you for organizing. 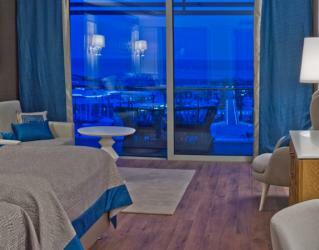 The hotel and staff were perfect, rooms with sea view (great). I will contact you, June, July for a new week in 2020. With my best greetings. Back in Finland from Sueno DeLuxe week. I forgot to give the feedback questionnare to the driver at the airport yesterday, but if you have the same questionnare online, I shall do it with pleasure. 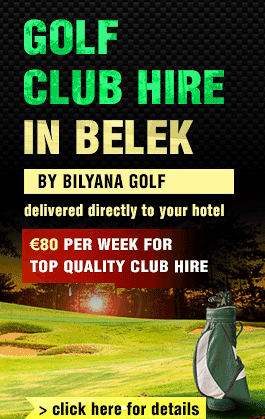 Everything was as planned, so we give Bilyana Golf high rates! Special thanks to Belguin, who organized our tee-times very well. I´ll shall do rating also at TripAdvisor. This was our 7th trip there, so possibly we´ll see again - perhaps allready next autumn :) Gloria is our favourite so far. 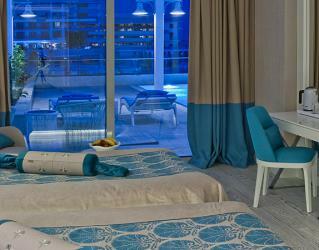 Nothing to be complained about Sueno DeLuxe, but something about Gloria Resort and Gloria Verde touched us even more. as the week in Sueno was absolutely perfect (;o), I would like to thank you and all your team for the service provided! A big thank you for a well organised golfing trip to Belek in Turkey, I have to say you local drivers could not do enough for our group. One member left his shoes at the Pines, your driver went to collect them without being asked, great services, also Bugra was a great help in changing a booking round to suit our schedule.